These Three Amazing Recipes for Beef Curry can help you expand your culinary horizons if you’ve never made beef curry before! Any of these beef curry recipes would be a great choice for a delicious International dinner tonight. 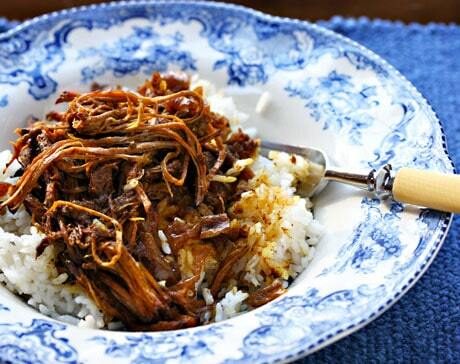 Click here to PIN Three Amazing Recipes for Beef Curry! Click here to see The BEST Instant Pot or Slow Cooker Roast Beef Dinners! If you’re a fan of curry flavors, we’re hoping these Three Amazing Recipes for Beef Curry make you want to reach into the computer and take a bite! What makes curry so good is the amazingly fragrant spices that smell so good while cooking, and in these recipes the tender meat is enhanced by a rich curry sauce for international comfort food at it’s best! We’ve updated this Friday Favorites post to include different styles of beef curry, with slow cooker or pressure cooker cooking methods, you can choose your favorite flavors and method of cooking. Serve a delicious beef curry over rice, or you could make cauliflower rice if you would like to keep this a low-carb dish. Enjoy! 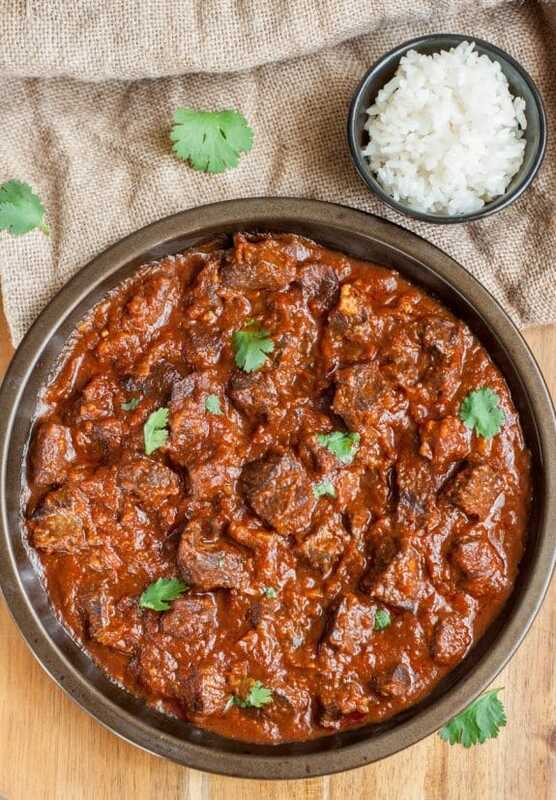 Slow Cooker Pakistani Beef Curry from The Perfect Pantry is a Pakistani shredded beef dish with fragrant and flavorful spices like cardamom, nutmeg, turmeric, cinnamon, and garam masala. This is a perfect choice for an Indian dinner! Pressure Cooker Thai Red Beef Curry from Dad Cooks Dinner uses a flat iron steak for this recipe that’s flavored with Coconut Milk and Thai Red Curry Paste. This delicious dish cooks up so quickly, you have curry in a hurry! Lily and Dmitriy from Gastro Senses say this Beef Masala Curry is at the top their list for quick and satisfying meals. This beef curry with all the traditional Indian flavors that’s cooked in your Instant Pot could soon become a favorite meal! Thanks for featuring this recipe. It was love at first bite for me. Lydia, it looks just amazing. Beautiful photo! People are free to eat this with anything they wish, no need to leave rude comments if the blogger didn't eat it the way you traditional do in your family. That type of comment will never be published.